Kathleen discovered her love of teaching fitness during graduate school, where she used teaching dance and group fitness as a means of coping with stress. Kathleen's true passion lies in helping others feel strong, positive, and excited to work out and feel good about themselves. 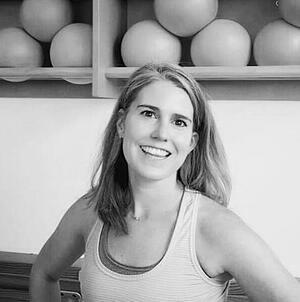 Kathleen minored in dance in undergrad at Drexel University and has continued to seek opportunities to grow in dance and fitness by pursing various fitness training certifications, including Barre, Ballet Burn, Turbo Kick, and Body Step.